Do You Need A Wedding Coordinator? 10 Simple Questions You Should Ask! Friends, today we’re going to talk about whether you need a wedding coordinator, complete with a handful of questions you can ask yourself to know for sure! You see, there always seems to be a great deal of confusion surrounding the term “coordinator” when it comes to weddings. 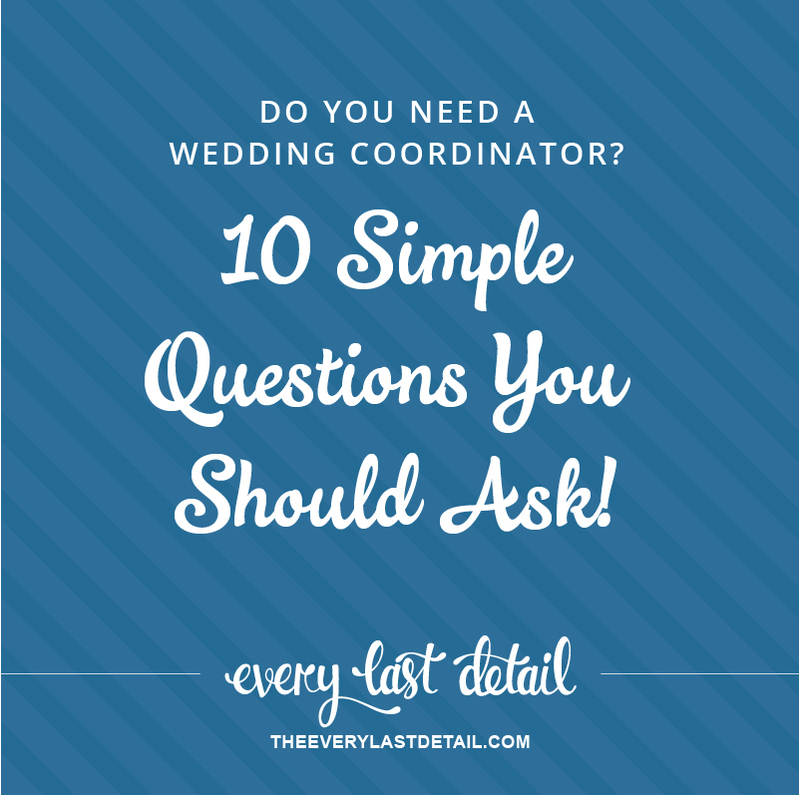 Yes, the term “coordinator” does indeed imply that there is a person coordinating events on the wedding day. But the difference lies in the fact that when it comes to your wedding, there are two “subcategories” of your wedding day that both must be coordinated- events having to do with the venue, and events having to do with your day as a whole. This is where the difference in the terms “Venue Coordinator” or “On-Site Coordinator” and “Wedding Coordinator” occur. The two instances – the venue and your wedding day- do of course go hand-in-hand, so I can see where the confusion lies. But the fact of the matter is really as simple as looking at the terms themselves: a venue coordinator handles the events of the day having to do with the venue itself, and a wedding coordinator handles the events of your wedding day as a whole. But what happens when the venue coordinator calls themselves your wedding coordinator, and assure you that they will be there for you every step of the way? You can assume that you’re taken care of, right? This is an issue, because sometimes, couples are told by their venue’s coordinator (or sales person) that everything will be handled on their wedding day and they don’t need to worry about a thing. Yes indeed, in some cases this may be true, but in many cases, it is not, and the couple is left scrambling to get things handled for their wedding day. 1) Will your coordinator be present at your wedding until the very end? 2) Will your coordinator be in contact with all of your vendors on the day of your wedding? 3) Will your coordinator be checking in with you while you are getting ready, making sure you’re on schedule and letting you know when and where to be? 4) Will your coordinator be coordinating you and your bridal party for the ceremony? 5) Will your coordinator be able to handle an issue off-site of where your wedding takes place? 6) Will your coordinator be the point of contact for your vendors on the day of your wedding? 7) Will your coordinator gather and store all of your gifts and cards (also goes along with being there until the end of the wedding)? 8) Will your coordinator be available to tell you when to do special dances, make toasts, and cut the cake? 9) Will your coordinator be able to handle requests/questions from your guests (including accommodation and transportation)? 10) Will your coordinator intimately know your details and design for your wedding? In a nutshell, the answer to all of these questions should be “Yes”… because if they’re not, a few balls may be dropped on your wedding day, leaving you, your new spouse, or your family to pick up the pieces- and you don’t want to have to do that on your wedding day! If you’re cutting it close, I would recommend that you have a “yes” for at least the first 5 questions above. If you do not, then you definitely need to hire your own wedding coordinator. The items I mentioned above are all things that your own wedding coordinator will take care of because they are there for you and have been hired by you. But if you ask me, the most important piece of information to me is whether or not your coordinator will be present until the very end of your wedding. There are things that need to be done at the end of a wedding that will need to be taken care of, but you, your family, or your friends should not have to handle them. Please know that all of this is not said to be against venue coordinators, but purely to inform you. There are many venue coordinators that will recommend you hire your own wedding coordinator and are up-front about what they will or will not do- and those who do that, I thank you! When planning your wedding, it’s all about asking questions and getting information so you have the complete picture of the services you will be receiving- including asking your venue about the services their coordinator will provide. If you do your research and are not afraid to ask questions, you will be one step closer to having the best wedding possible! Venue Coordinator VS Wedding Coordinator… Does it really matter? 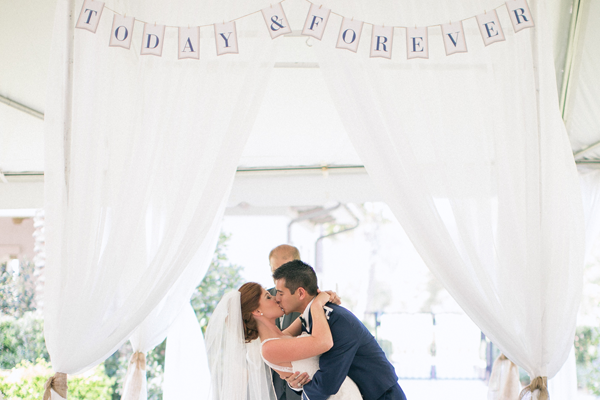 Thursday Tips: Can’t Afford A Wedding Planner?